We haven't progressed much on the plans for the basement reno lately. But that's kind of how things happen around here... draw up lots of sketches, wait for more inspiration to strike, let the ideas stew in our brains until we feel like we've found "it", the perfect design solution. I've been thinking about the laundry room. 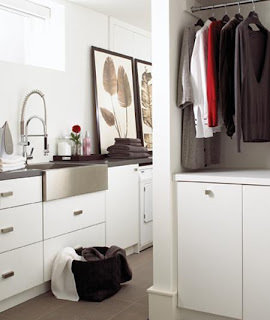 Why is the laundry room often one of the most neglected rooms in the house? At worst, you have washing machines sitting on a concrete floor in your unfinished basement, with a bare hanging lightbulb buzzing overhead. At best, you have a clean, simple, finished room. This laundry room resides in The House That A-M Built. She just sold this house (and had I lived in Brisbane and had an extra $700K in my pocket, I would have scooped it up myself). I love the mix of open storage, and closed cabinetry with frosted doors. White always looks right in a laundry space. The glass door is a nice touch, to bring in even more light. I've had this photo from Canadian House & Home in my inspiration folder for a long time. There's just the right amount of spring colour. A rug underfoot is a good idea too. Yummm, beadboard! I love the vintage feel of this room. 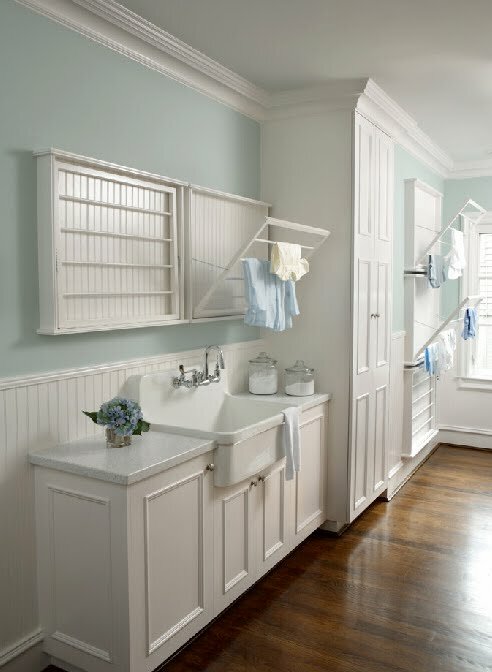 The drying racks and cabinet trim add some style to what is typically a spare functional space. The hardwood floor looks great too though I would probably opt for something more water resistant. 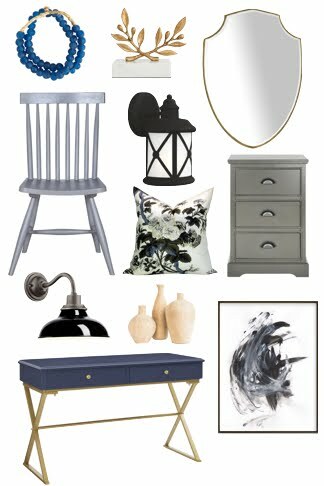 Another fave from Canadian House & Home. The rod for drying items is a great idea and we'll be doing something similar in our laundry. The industrial farmhouse stainless sink is pretty fab. Right now, we have a deep plastic utility sink and its always getting stained and nicked. 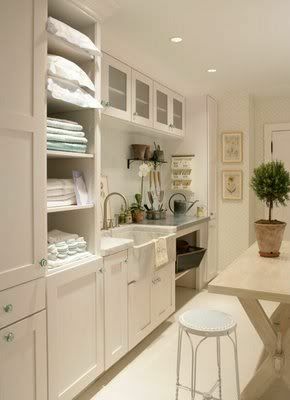 I think this laundry room is practically perfect... lots of counterspace for folding; storage for linens; good lighting, and pretty green glass knobs to boot. If I had a laundry room as pretty as these, I actually might be motivated to do more loads! Thanks for the post. We are thinking of re-doing our laundry room, well. . . laundry closet, and I love all the fantastic photo's. I've had some of those same pictures in my inspiration file for my imaginary laundry room! Love the pairing of the dreamy aqua blues and whites for that space. Unfortunately, I have to do my laundry in the concrete basement with the one single light over head and the low ceiling. Bleh! Wish I had an indoor laundry - but for now I'm stuck with appliances in the garage on concrete with bare bulb overhead. But I'm not sure I want the other option common here in FL - an indoor closet just big enough for the appliances. At least I have bright light and enough space for a nearby rod to hang things as they are taken from the dryer. And a shelf right above the appliances for all the necessary stuff. The other essential to remember for your new laundry is a cushiony mat for anywhere you will be doing a lot of standing - your back & legs & feet will thank you. Can't wait to see what you end up with - everything you have done so far has been so nice. My laundry room is that cement floor, bare light bulb, unfinished space!!! and the rest of the basement is completely finished!!! Great inspiration pictures. I do the same thing - hum and haw, ponder different options and search the web for images, then I make my move. Great minds think alike. P.S - Tag your it! 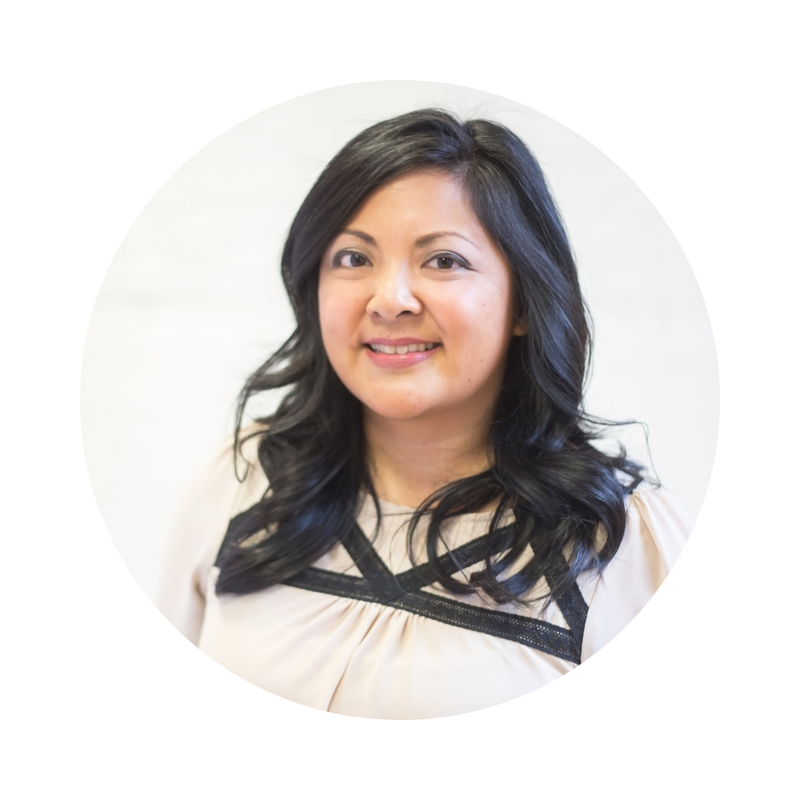 Check out my blog for a challenge. I'm excited to see what you end up doing. My own laundry room is a bit of a blank slate, and I'm not sure what I want to do to spruce it up. Your choices are sure to be inspirational, and hopefully not quite as high end as these photos...they are quite involved for laundry rooms, imho. oh my, how I would love to have a laundry room this size! Thanks for all of the beautiful photos. We are in the process of buying a new washer and dryer. We are hoping to revamp the laundry room after our new purchase. Do you have a favourite store in TO for appliances? Cheryl - I totally agree, hanging rod and shelf for accesories are essential! Anon - we got our kitchen appliances at Appliance Canada and will probably check out their laundry machines too. But here's a tip - check out the scratch & dent locations - The Bay has one as does Sears and Appliance Canada too. We're planning to 'build in' our laundry machine and surround it with cabinetry and countertop so some dents may not be visible. Who knows, you may find a good deal! J-Pacha Mama - I love that rack! It looks great in your space. These are great laundry room designs! I actually told my husband the other day that we are lucky to have a nice laundry area. 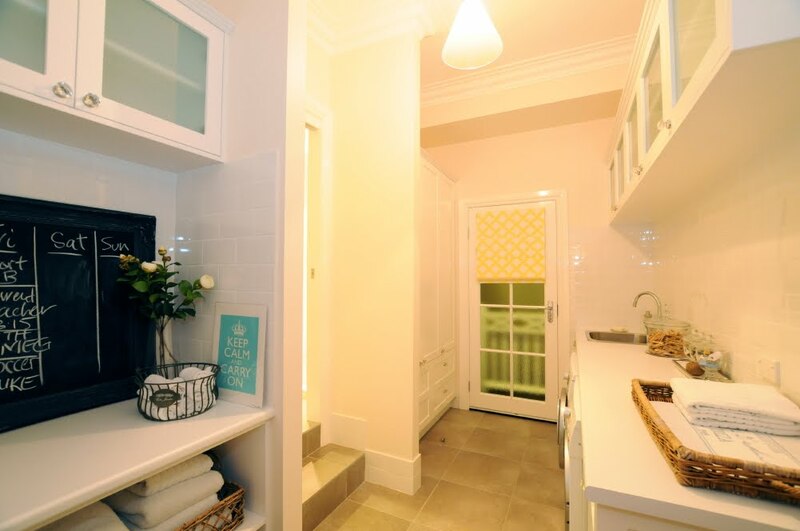 The towels and clothes are neatly placed in the cabinets. (Thanks, kids for helping mom!) The tile (Sarasota) flooring are smooth and sleek. And I am just thankful that whenever I do the laundry I am not stressed out because the area is well-maintained. Thanks, for sharing these excellent laundry designs!